Topics include contemporary issues which have arisen in the Church of God movement and includes subjects and questions the general overseer takes on that have perhaps “lingered” for quite some time. This week a new website has been launched that houses all 23 of the subjects Hill has written about, blogged, or released via social media. 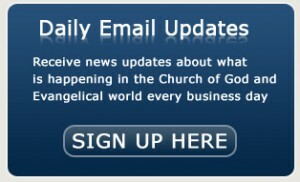 The site is located at letstalkaboutitbytimhill.com or can be accessed by visiting the Church of God website and clicking on the RESOURCES tab. Hill offers these documents in an effort toward reconciling some issues which have at times in the past sparked debate. Other topics are an attempt to clarify the denominational position and/or cast a vision for the future. Each article is available to link/share across other venues, websites and social media platforms. There is a place to leave comments, as well as “like” the articles. There are also links to Tim Hill’s books and music, a biography page, and a link back to the Church of God website.